From part of the Danish heartland to part of the Swedish South. Some sort of Manor seems to have existed in the 1420s, belonging to a knight called Nicolas de Kattisnabbe. At the Danish Protestant Reformation in the 1530s vast areas of monastic land was up for grabs. A member of the Danish Thott family, already in control of large holdings in the surrounding landscape, seized the opportunity and bought what is still the Trolleholm Estate – today reduced to 5 000 hectares. 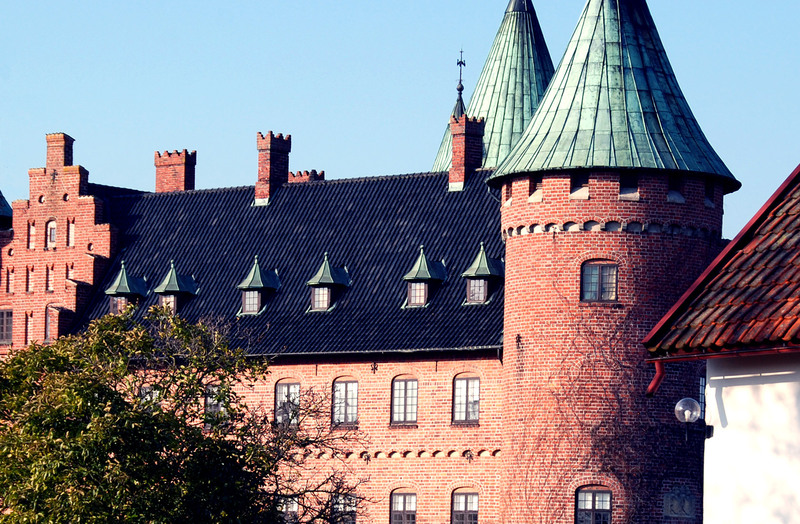 During the endless wars between Denmark and Sweden in the 17th Century the property changed hands from the Thott family into the Trolle family and then, through marriage, into the Bonde family – all 3 early medieval aristocratic houses. A member of the Trolle family entailed the property (Fideicommisum) in the mid 18th C. to his daughters eldest son, Count Carl Bonde – hence the present name Trolle-Bonde, carried from father to oldest son. exist, according to a 1960s law, Carls grandson Carl has since the 1980s been the private owner of the Trolleholm estate.